Take stunning photos with the 5 megapixel front-facing camera on the HTC One remix. Complete with advanced features like a self-timer that helps you take that ever so ubiquitous selfie. The front-facing camera also has an auto touch up function that enhances natural skin tones and captures more natural light. The HTC One remix still maintains the premium aluminum build that comes on its big brother, but in a smaller build, measuring just .42 inches in thickness while still having a 4.5 inch Super LCD 2 display. Though it has a smaller and more compact build, the One remix packs in a slew of features. The One remix runs on a 1.2 GHz Qualcomm Snapdragon quad-core processor with Android 4.4 KitKat. In addition to the 5 megapixel front facing camera, the HTC One remix has a 13 megapixel rear facing camera that shoots videos in stunning 1080p HD, and has expandable memory storage up to 128GB. The most prominent feature that the One remix has is HTC’s Boom Sound, which has premium built in speakers with amplifiers that are on the face of the phone so they point directly at you as you interact with the phone. 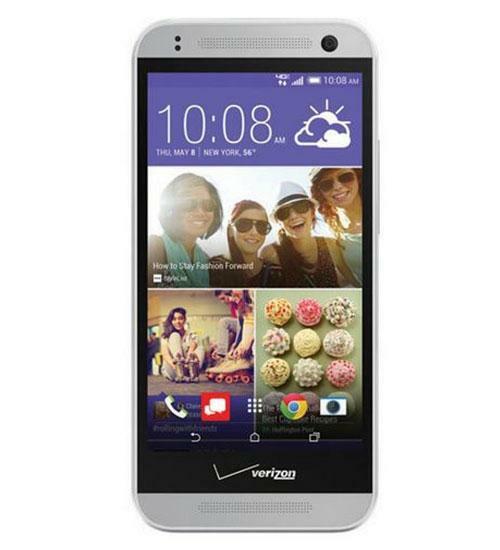 The HTC One remix is the HTC One Mini 2 but in Verizon Wireless clothing. The HTC One Remix is essentially the HTC One Mini 2 just rebranded for Verizon's network.